The simple answer? As much as you can afford. But of course, there’s always more to the story than just the simple answer. When my husband and I first started paying off our $45,000 of debt—a combination of student loans, car loans, and credit card debt—the task seemed completely daunting, like a mountain we’d never conquer. Several years later, we now know that it was possible to pay off our debt, but it didn’t happen overnight. It took us 45 months to pay off our $45K debt. To some, that might seem slow, and to others, that might seem crazy. Figuring out how much money to put toward our debt each month was a challenge because we were really strapped for cash at the time. Back then, we were making less than half of the income we make today. My husband was making minimum wage, and we were pretty much living paycheck to paycheck. How the heck were we supposed to afford to put anything else toward debt? 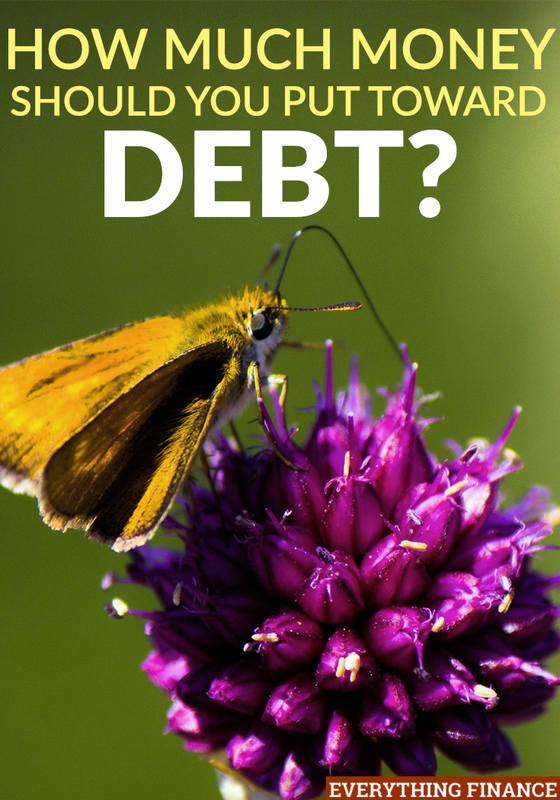 If you’re asking yourself how you’re supposed to pay off your debt when you already feel like every penny is spoken for, you could find some help with debt if you qualify with the need requirements, you can find out more at https://nationaldebtadvice.org.uk/, also here are the tips that worked for us. When some people first start out on their debt repayment journey, they feel like they don’t have an extra penny to spare. However, it’s more likely they haven’t tracked their spending—and I mean, every single penny. Spend a month tracking your spending—down to the last penny—to see where exactly your income goes. While a huge chunk may be spoken for, such as bills, groceries, gas, etc., there are always those little expenses that sneak their way into your spending. Those can result in huge savings when they are finally eliminated. Trip to Starbucks? Lunch with friends? Takeout on the way home? Unnecessary grocery expenses? Every penny that is allocated for unnecessary expenses is money that can go toward your debt instead. There are also sacrifices you can make to reduce your spending in other areas so you can contribute more toward your debt repayment. For example—what about that expensive gym membership you belong to? Are you still paying lots of money for super fast internet? Are you still paying for cable? All of these expenses add up. They’re luxuries you can’t afford to have until your debt is paid off. But the reasons stated above are why that’s just the simple answer. Most people think they have no extra money to contribute toward debt, but it’s because they’re not willing to make the sacrifices necessary to live a debt-free lifestyle. Are you? How much do you put toward your debt each month – the minimum due? Or do you pay extra? How did you arrive at that amount?